Technology trends in both higher ed and K-12 classrooms continue to evolve and transform traditional learning environments. 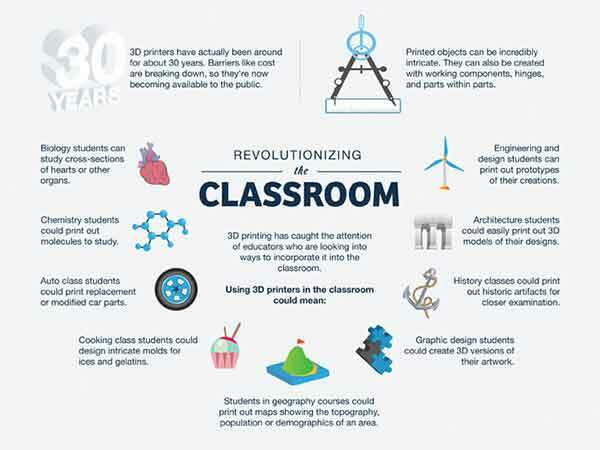 New learning analytics, mobile devices, open online learning, and 3D printers are some of the many Educational technology trends to be on the lookout for in 2014. Here’s a detailed discussion. 3D Printers which enable makers to create whatever they can imagine and design have exploded into mainstream culture over the past year. Libraries are creating DIY makerspaces and providing these new tools of production to their communities along with opportunities for skill-building in math and engineering which are required to design 3D objects. 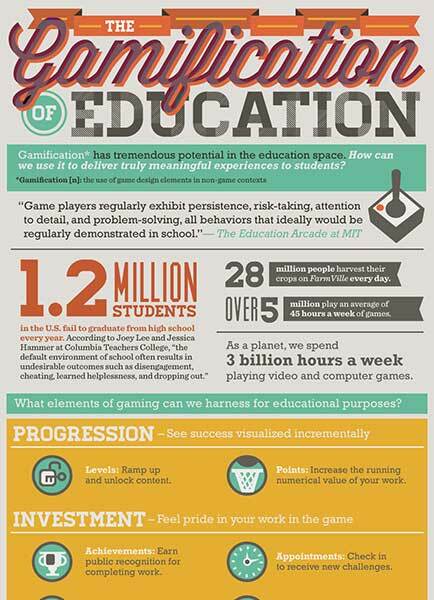 And schools aren’t far behind, realizing the many educational possibilities of the devices. The Poland and Hong Kong based GADGETS3D has launched an initiative called the “3D Printer in Every School” project in which they have designed a low cost, small 3D printer specifically created for the classroom. Schools will be able to purchase the RepRap G3D printer for $245 as part of an educational kit. They will also be donating to a free printer to 500 schools around the world. The printers will be able to be access remotely by students doing homework, via their smartphones. The NYC-based MakerBot Academy has launched an initiative to put a MakerBot Desktop 3D Printer in every school in the United States of America by crowdfunding the costs. MOOCs or massively open online courses have exploded in popularity over the past two years and will continue to grow over the next several. These (usually) free courses are attended by hundreds of thousands of students at the same time and offer both certificates of completion and occasionally college credit. Online students can learn anything from basic computer skills to art history from Ivy-League professors at well-respected institutions such as MIT, Harvard, Yale, Duke, and more. Although they have their challenges, mainly in the area of assessment, these online courses have demonstrated significant value to millions of students who would never have had the opportunity for such an educational experience if not for MOOCs. I believe we will be seeing much more of these online courses in the coming years as they work out the kinks in the evaluation of large numbers of students and refine their focus. I think we’ll also start to see platforms dedicated to corporate MOOCs providing online training for businesses. For more on MOOCs, check out my previous article: The Future of MOOCs. Educational institutions, both higher ed and K-12, are making use of student data to improve classes, teaching methods, and entire programs. Just as businesses have been mining such data for years in order to predict trends and consumer behavior patterns, schools are now finding that such “learning analytics” will be effective in personalizing the educational experience for students at the individual level as well. This year’s NMC Horizon Report – 2013 Higher Education Edition on emerging technologies in higher ed identifies Learning Analytics as a significant trend on the horizon with adoption over the next two to three years. 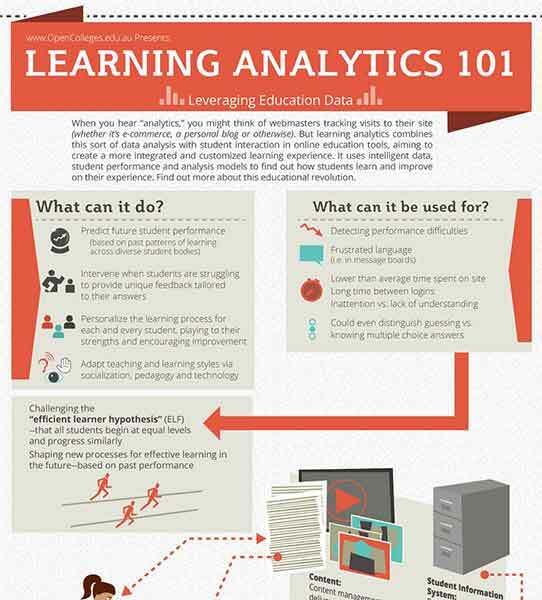 They also provide many examples of learning analytics in use in higher education settings. Digital textbooks replace the traditional print text book with an e-Book which is usually interactive and oftentimes open or free to use and sometimes edit. These new digital versions of classroom tomes have been undergoing pilot projects in K-12 classrooms for several years now. The largest challenge with assigning digital textbooks remains the equality of access to the devices which make reading these educational eBooks possible. However, they remain a viable Ed Tech trend and one that I think we’ll continue to see in the coming years, especially as device prices steadily drop. According to a recent survey by Enterasys Secure Networks, 37 percent of K-12 teachers say they plan to transition to only digital textbooks within the next one to five years. According to a recent study by WeAreTeachers, 55% of the teachers surveyed use digital online games as part of their instruction, and 63% agree that students are more willing to practice difficult skills when presented in a game-like format. Games-oriented labs and studios are popping up at universities such as the GameStudio at Boise State University, Pennsylvania State University’s Educational Gaming Commons, Games Research Lab at Columbia University’s Teachers College, and the Engagement Game Lab at Emerson College. 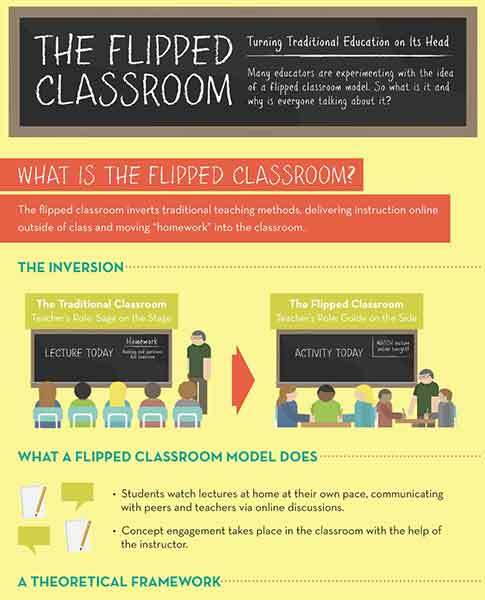 The Flipped Classroom is an active learning model which inverts the traditional method of providing instruction by providing video lectures for students to watch before class at home and activities and discussion in the classroom. This relatively new style utilizes online learning platforms such as Coursera and The Khan Academy to host video lectures and ed tech tools such as ShowMe and Educreations to provide lessons via mobile whiteboards. At this point, instructors are still hesitant to completely flip their classrooms as there is a concern that not all students will have access to the technology to view the online videos and lessons, but I imagine this is only a matter of time. I think what we’re most waiting for is the professors and teachers to become savvy enough to be able to create them. But this is definitely a trend to watch in the coming year(s). With the proliferation of tablets, smartphones, and other devices, educators have increasingly been embracing this new BYOD culture. They are using communication apps such as Twitter in classrooms, productivity tools such as Evernote, Dropbox, and Google Docs, digital textbook apps such as iBooks Author, video apps such as iTunesU, as well as apps specifically geared toward certain subject areas. The latest NMC Horizon Report – 2013 Higher Education Edition on emerging technologies in higher ed discusses tablet computing as a major emerging trend with mainstream adoption within the next year. 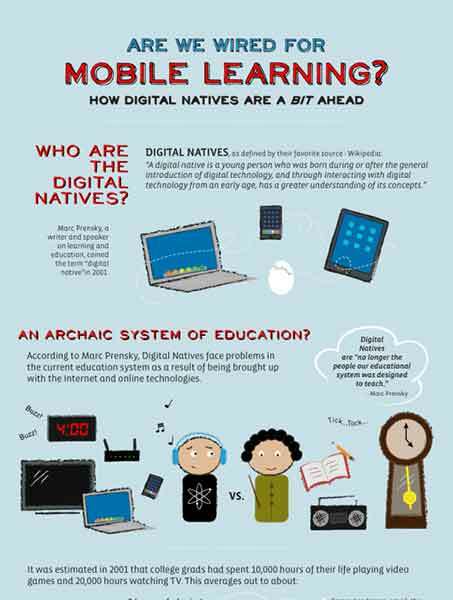 The report provides many examples of specific apps being used in the classroom as well as educational institutions which have rolled out tablet programs.